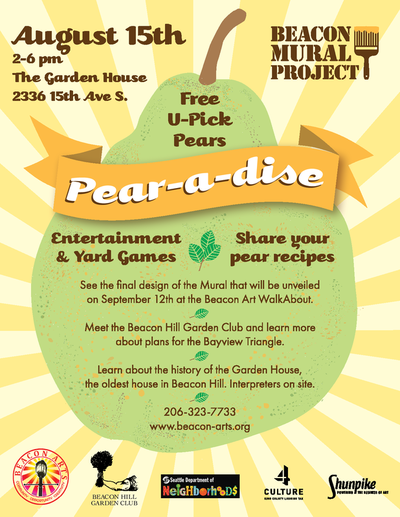 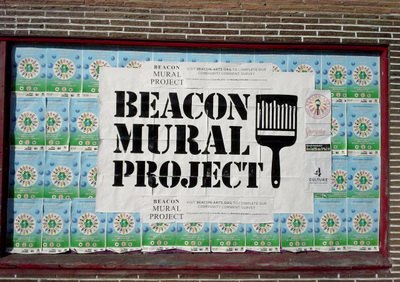 Beacon Arts was awarded a grant by the Department of Neighborhoods to create a community mural on Beacon Hill. 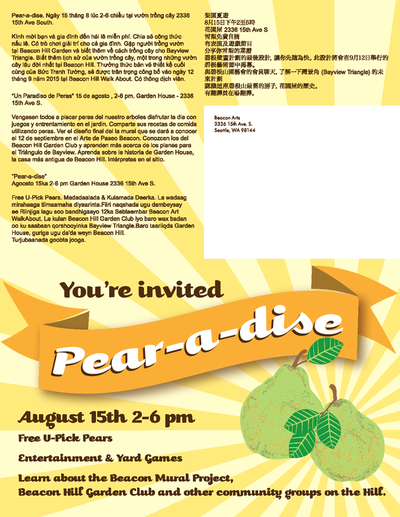 The first part of the project required developing a logo and a postcard. The postcard was sent out to 7,000 local residents to invite them to a community brainstorm to solicit stories and themes for the mural itself. The logo was used in large scale posters along Beacon Avenue.